New Chilewich designs for Fall/Winter 2016 have arrived at Didriks. Elegant new patterns and colors ways for the season. Independent homewares store Didriks introduces the new Chilewich designs for Fall/Winter 2016. Chilewich is best known for their stylish, durable vinyl floor and table decor in dozens of colors and styles, and Didriks carries the entire line. 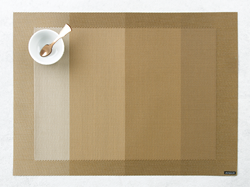 For the upcoming Fall and Winter season Chilewich introduces several new placemats and floor mats in elegant new colors. 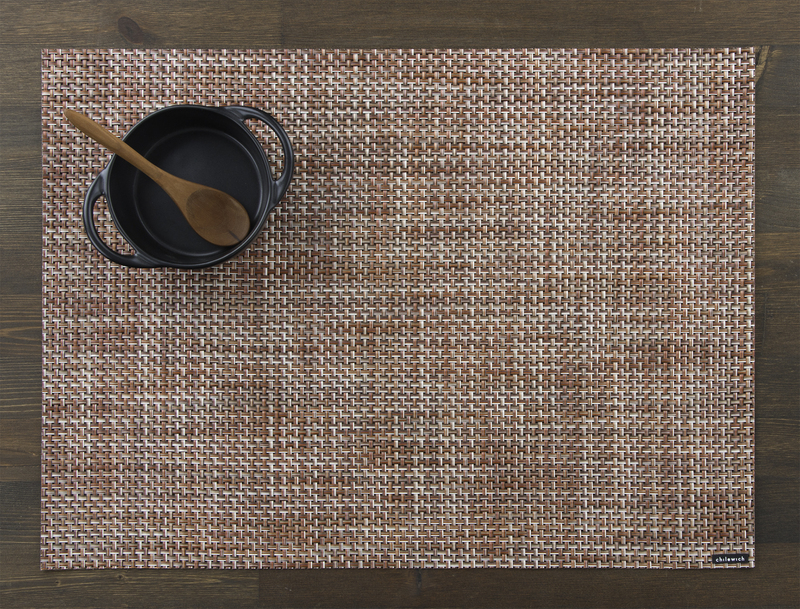 The new Basketweave Terra introduces an earthy copper color to the traditional basketweave collection. This gently variegated design is perfect for rustic tables. The newest shag floor mat Block Stripe in Cranberry displays a gradient from light berry to deep maroon. The stunning mat will add depth to any doorway. Plaid Multi is the fun, bright option in the new plaid line. 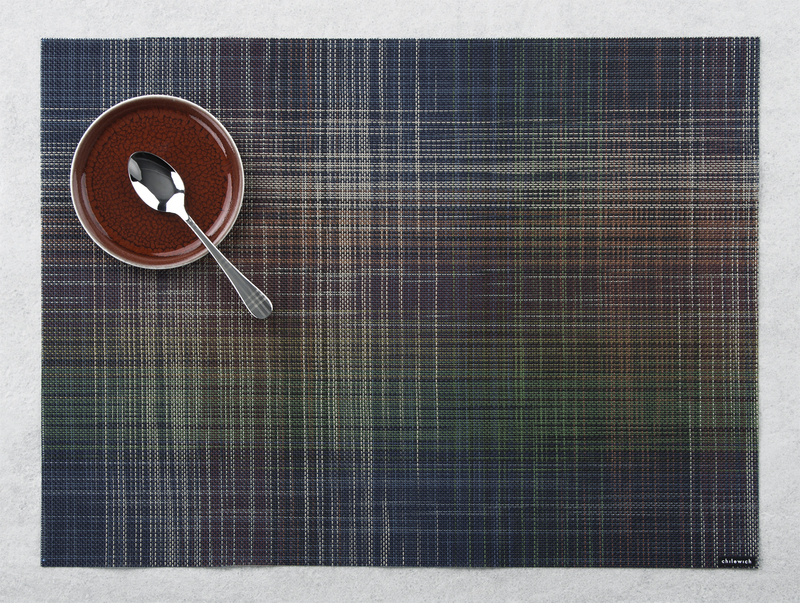 This design offers a fresh take on a traditional plaid pattern. The multi-color combination allows for endless design opportunities and can add texture and dimension to your table. The new pressed vinyl Petal placemat in Champagne is pure elegance. 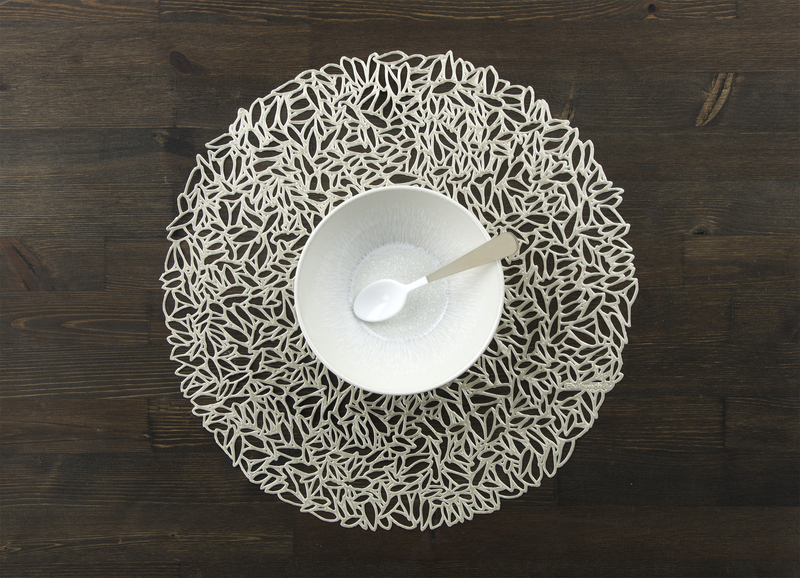 The intricate, organic design adds a delicate, formal look to your table. Use it as a placemat or simply as tabletop decor to dress up any occasion. This season Chilewich introduces several new styles for both table and floor that are clean, elegant and perfect for Spring. Wicker, in Sugar, is a clean white sprinkled with color for a playful table, this style would be wonderful with brightly colored dinnerware. Their new Mixed Weave collection features a monochromatic combination of complementary weaves for understated elegance. Soft metallic threads in their Satin weave provide a quiet, luxurious luster. Didriks is located at 190 Concord Ave. on Observatory Hill in Cambridge and at The Mill at Newton Lower Falls, 2284 Washington St.